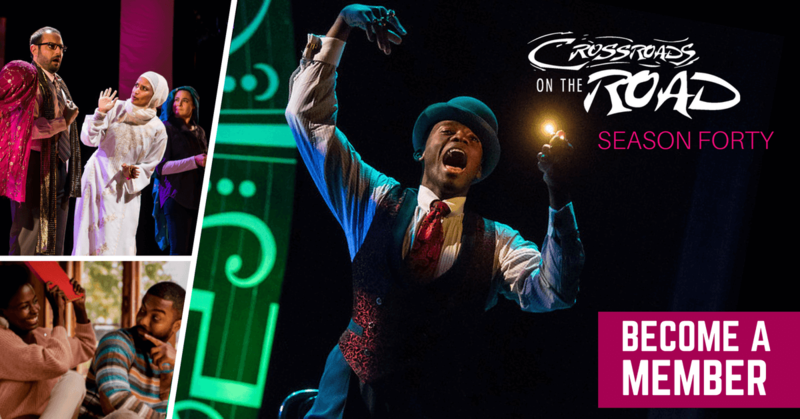 Become a member for the 2018-19 Season at Crossroads Theatre Company and experience some of New Jersey’s finest theatrical productions while receiving exciting member benefits. You’ll become a part of our rich community of artists, staff and fellow theatre enthusiasts. WIN a Signature Crossroads jacket autographed by Denzel Washington with your membership. Each membership purchase will be entered into a drawing to win a Signature Crossroads jacket autographed by Denzel Washington. The jacket shown above is only for illustration purposes only and the final design may be totally different. It’s way more than tickets! Early Bird Special Flex Double. Members are the heart of the Crossroads Theatre Company, support our mission while receiving pre-sale ticketing, special invitations, and other benefits. Total of six tickets to be used in any combination of shows. Early Bird Special Legacy Double. Members are the heart of the Crossroads Theatre Company, support our mission while receiving reserved seating, pre-sale ticketing, special invitations, and other benefits. Questions? Please call 732-545-8100 or send an email to the Membership Office.